Please note: Each booking will incur an NZ$8.00 transaction fee. $150.00 Access to General Admission Areas The individual ticket limit for Elton John - Farewell Yellow Brick Road will be 10 tickets in both the Reserved Seating and GA sections. $250.00 Access to Reserved Seat in Sections B or C as well as all General Admission Areas. The individual ticket limit for Elton John - Farewell Yellow Brick Road will be 10 tickets in both the Reserved Seating and GA sections. Any ticket holder under the age of 18 must be accompanied by an adult and children 4 years and over must purchase a ticket. There is no charge or ticket requirement for a child under 4 years of age accompanied by an adult into the General Admission area. All children entering the reserved area with an adult must hold a reserved seat ticket. Proof of age may be required as a condition of entry. As we are an open-air event in a temporary location, services are limited. Access is via sealed, gravel roads and grass paddock. Limited reserved seating and wheelchair positions are available for purchase via this website. For General Admission ticket holders there is a reserved wheelchair area for patrons. Access is based upon a first to arrive priority. As a Platinum ticket holder, not only do you receive Section “A” Concert Seats you also receive complementary parking and access to the Platinum picnic area. Join other guests, relax on the lawns surrounding the newly established wine making facility and enjoy the benefits of private bar and amenities. 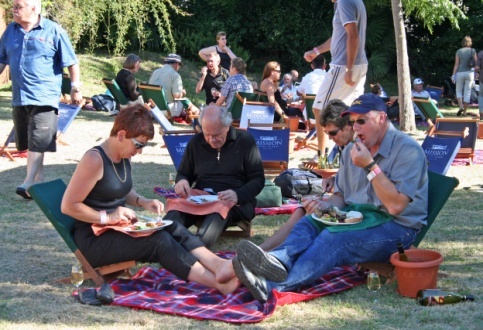 BYO picnic and non-alcoholic beverages or take advantage of your private bar and pre-order a selection of food services. BYO Food & Beverage or Pre-order for collection on the day. Join the guests at the Mission Estate Winery Restaurant to view the beautiful Hawke’s Bay. 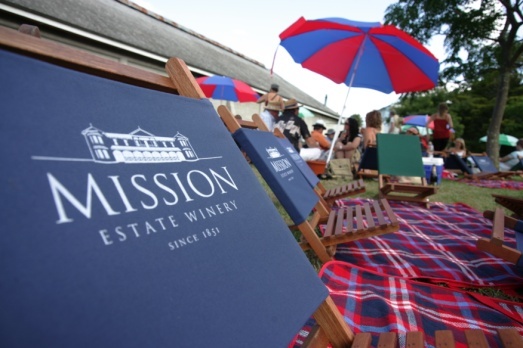 Starting with Bubbles on the lawn followed by a sumptuous 3 Course seated dinner with award winning Mission Estate Wines. 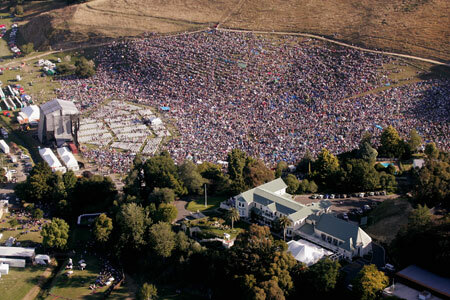 Also, included in your Prestige Package is premium concert seating, VIP parking, Post Concert Supper and a Concert gift to remember your day with us at Mission Estate Winery. Gourmet dinner complemented with premium selected Mission Estate Wines and beverages. Packaged Concert Wine and Water available for pre-order.